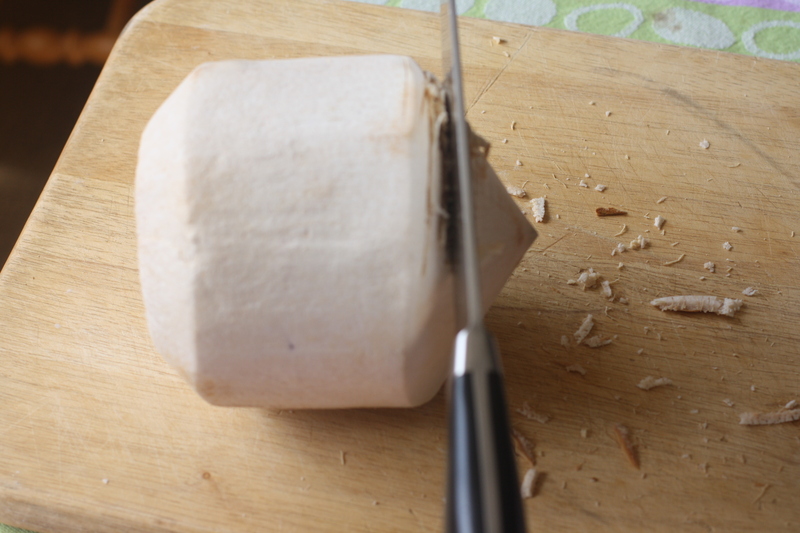 How to open a young coconut. 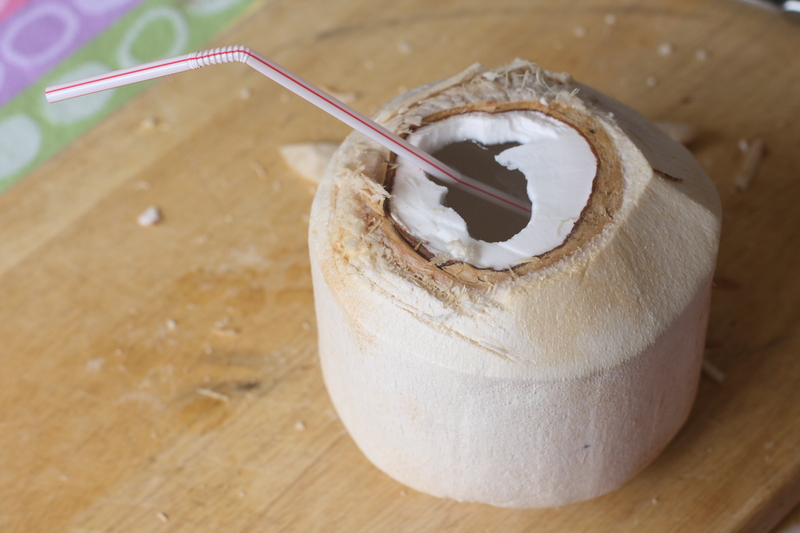 Coconut water is all the rage these days. It is has quickly risen to the top of the nutritional buzzword pyramid, directly below "gluten-free" and right above "kale." 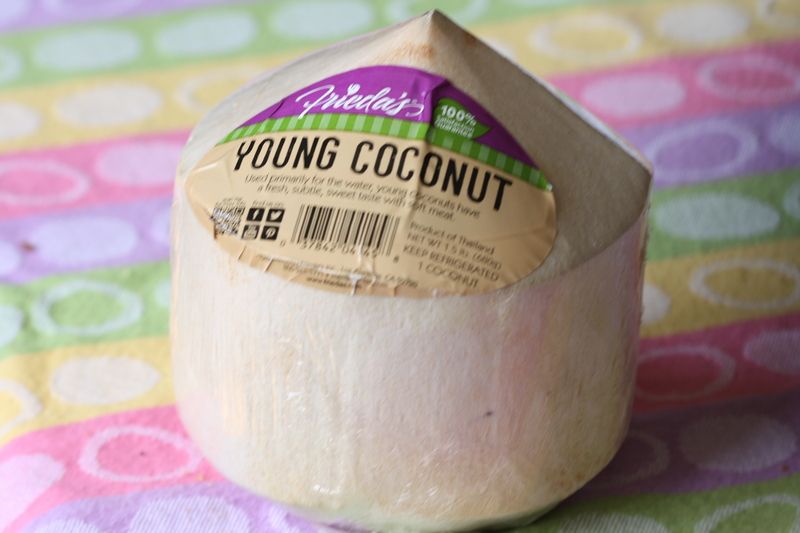 While it is not the magical potion that the food industry claims it to be, I'm a fan of coconut water- it is a healthy alternative to the neon sports drinks that are often touted as as essential to physical activity as socks. Although plain ol' H2O is the ideal beverage before, during, and after exercise, I like coconut water is an all-natural source of electrolytes. 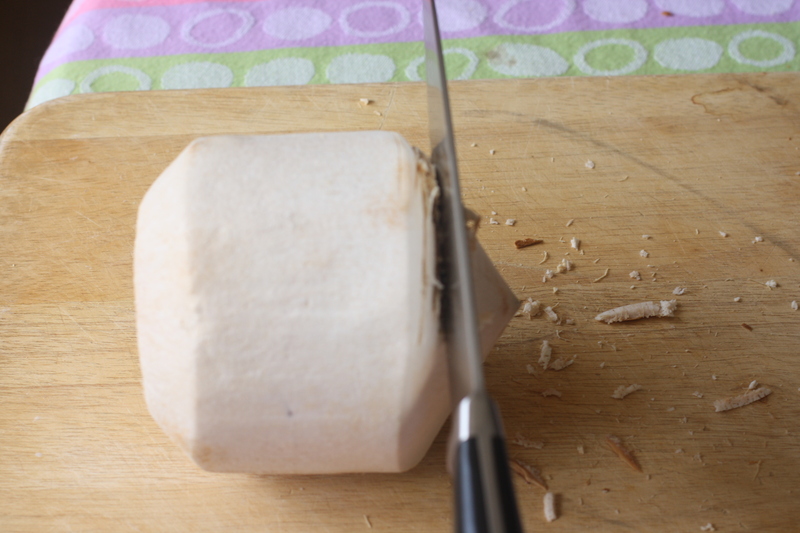 And now that it's spring and everybody is active and sweaty and thus losing electrolytes, I figured I would spread the food nerdiness with this very necessary tutorial on how to open a young coconut. 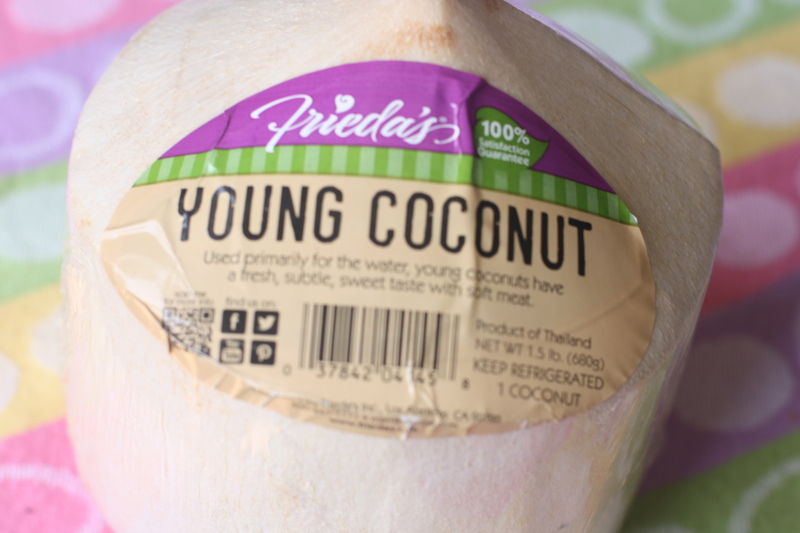 Behold: the young coconut. 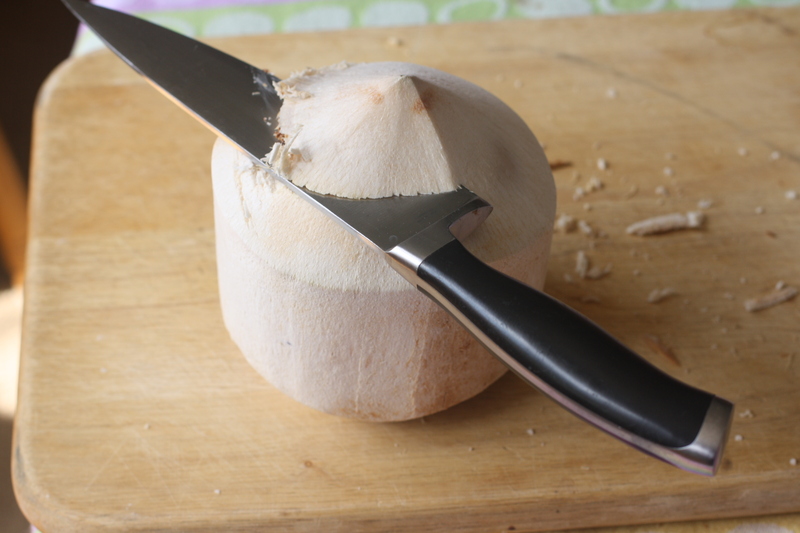 This fella is different from a normal coconut in that you don't need a power tool to open it (which I learned for myself when I was called to put a mature coconut in my mom's shopping cart, only to discover at home that it would take more than a knife to get it open…). All you need is a cutting board and your favorite sharp knife. 1. 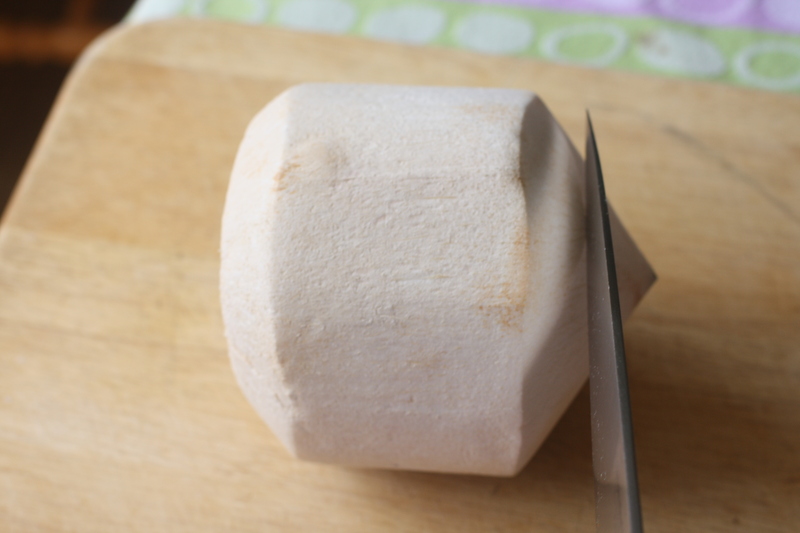 Unwrap the young coconut and place it on a sturdy cutting board on a non-slip surface. 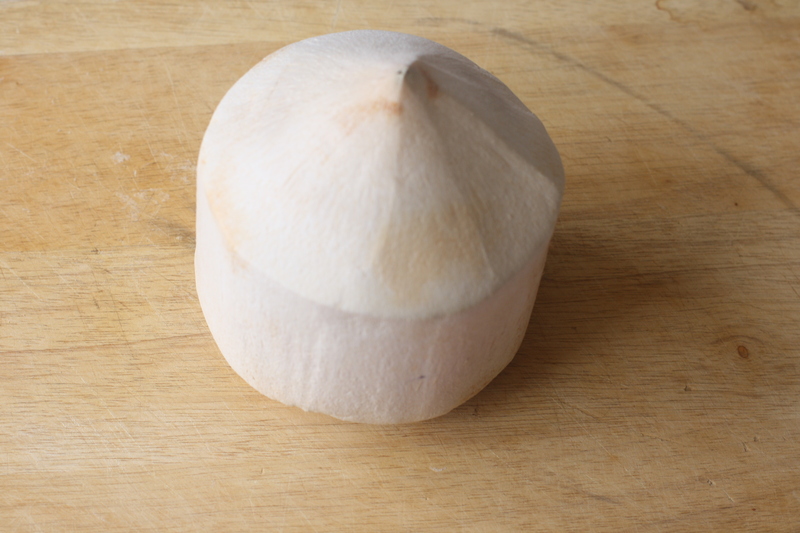 Turn the coconut on its side. You want make the cut about an inch from the tip. There is a sweet spot that, once you find it, makes opening it easy. 2. Proceed to hack away at it (with caution of course). Someone may come into the kitchen and give you a weird look, confused as to what you are doing. Just smile and get back to work! The sweet spot. Oh yeahhh. 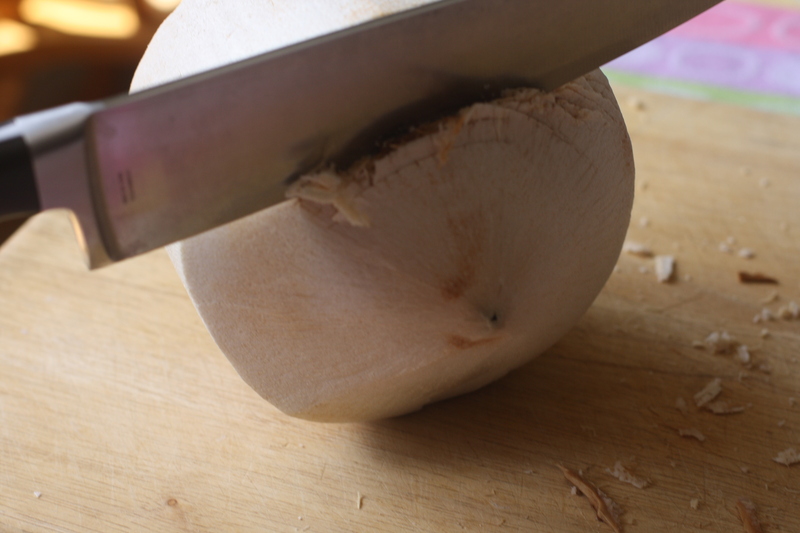 Once you find the sweet spot, rotate the knife in a circle to remove the tip. 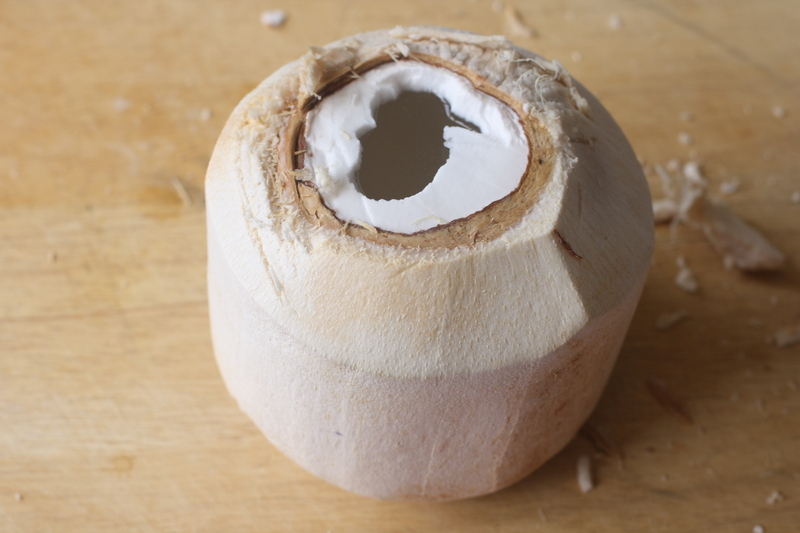 Although it is easy to find coconut in the beverage section of any local grocery store these days, buying a whole coconut and cracking it open is just downright fun. 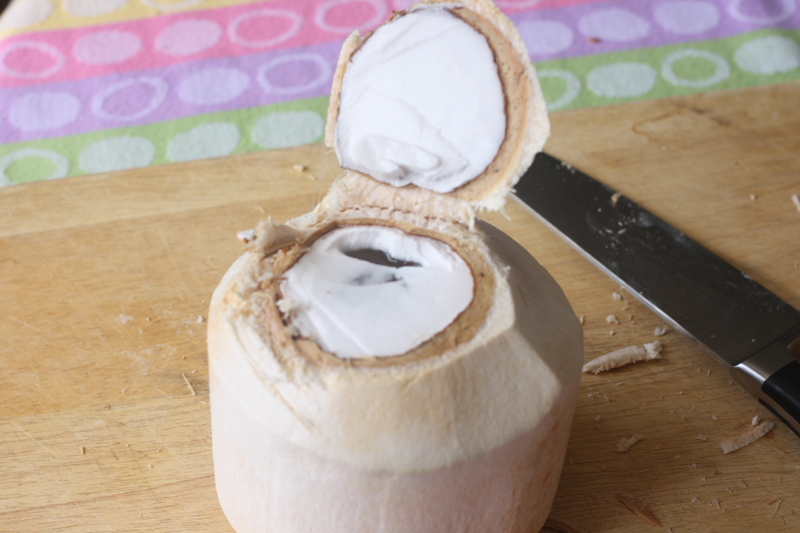 Plus you also get to enjoy the "meat" that is left inside of the coconut once you have consumed the water. Or my favorite way- with a straw.